"I enjoy treating the wide range of problems encountered in a general surgery practice. It is gratifying to know that I treat diseases and speed up the recovery after surgery by providing state of the art techniques such as advanced laparoscopic surgery, single site laparoscopic surgery, and robotic ... Read More surgery." 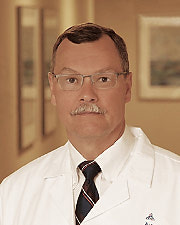 James Burhop, MD offers services at multiple WI locations.